Pamela Howard can't believe what she let her friend Maisie talk her into—a charity costume contest where she's made to dress as King Louis XVI. Her partner, dressed as Queen Marie Antoinette, reminds her of a man she's spent five long years trying to forget. When Hank realizes Louis is his ex-fiancé, he has to find a way to make her stop running away from him so he can finally apologize. "Tutti-Frutti Blues" and "Dude Looks Like a Lady", brought back memories of the small town I grew up in. Shortland's style of writing is both fun and creative; I look forward to reading more of this authors work in the future!
. . . you are in for an unbelievably rollicking good time!...one unforgettable, funny and sensual delight. This book comes highly recommended! Tutti-Frutti is a special love story filled with romance between two people that is so unique in its own way. A little ice cream with no spoons could turn out delightfully wicked with that one special person. Ms. Shortland crafts an adorable little romance! It had a certain flare to it with the slippers and such a zany day, quite uplifting! 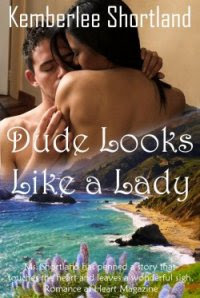 Dude Looks Like A Lady is a read where the characters and the settings are all quite believable. The storyline is great making it a fantastic read about romance that last throughout many years. Ms. Shortland has penned a story that touches the heart and leaves a wonderful sigh.